Concrete pavements deteriorate over time due to exposure to severe weather conditions and excessive traffic loading of the concrete. A detailed assessment of the condition of the concrete or asphalt pavement must be made first before any remedial measures are sought. Weber can provide guidance on the correct choice of remedial techniques using repair concrete and rapid setting mortars. 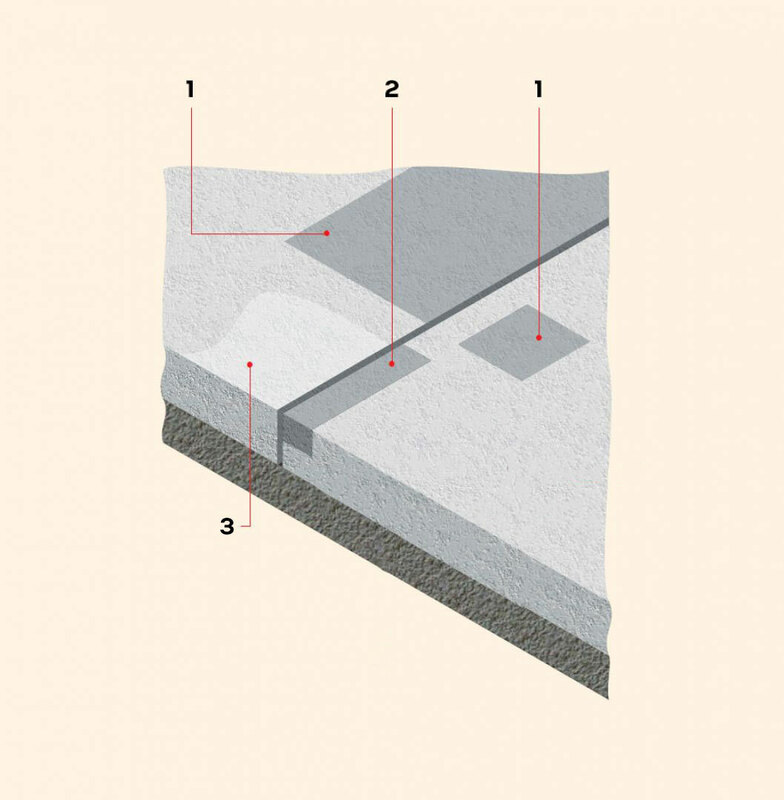 Excessive shrinkage or thermal movement in new concrete pavements can result in the concrete cracking. Areas of the concrete surface can spall and break out due to freeze/thaw damage, impact damage and weak surface of the concrete due to over-watered concrete mixes. The concrete unravels as the aggregate is broken out of the area by constant trafficking and these areas grow in size. Over-watered concrete can result in dusty, friable surfaces. Badly-constructed joints can break up under traffic loads and lead to parallel cracking and/or spalled concrete at the joint. The concrete breaks away, leaving a wide gap in the joint and the potential for further problems. A detailed assessment of the pavement condition must be made by the specifier to determine the cause of the problem. The assessment should consider the use of the pavement and the traffic loads to be applied. Use rapid strength gain repair concrete. Reinstatement of surface with webercem pyratop rapid strength gain concrete for thin bonded repairs. webercem pyrapatch fast-setting repair concrete for patch and full-depth repairs. Repair broken or cracked concrete with fast-setting repair concrete, webercem pyrapatch. Apply two coats of webertec aquapel créme to harden the surface of weak concrete.